Let’s agree that Chinese and English are two totally different languages – pronunciation, grammar, written form, expressions – it all differs. From a broader perspective, there are some major differences between. English emphasizes the structure, while Chinese focuses on the meaning. In English, it is very common to see one long sentence with a long modifier, and pronouns like “we”, “she”, “they” in addition to “that” and “which”, to avoid recurrences. The sentence could be very long and complicated, this is especially obvious in legal articles. However, in the Chinese language, generally sentences are shorter and even if it’s a long sentence, it would be divided into several short sentences or phrases by comma. But sometimes the tables were laid outside in the gardens of stately homes. The gentleman is not a tool. Here come friends afar, how exceedingly happy we are! English is a Latin language, you can guess the pronunciation from its spelling, while Chinese is a character language, it can’t be spelt and you can’t guess the pronunciation from the characters in many cases. Some foreigners use “spelling” this word on the description of the Chinese language, obviously they have no idea of this language. It is not a romanization language, and can never be spelt. English has far less dialects and accents than Chinese. Due to historical and geographical reasons, the dialects and accents in English don’t have too much difference as that in the Chinese language. The commonly seen word Mandarin actually is a “standard dialect” of Chinese, and it’s not a written language, just a sort of spoken language. 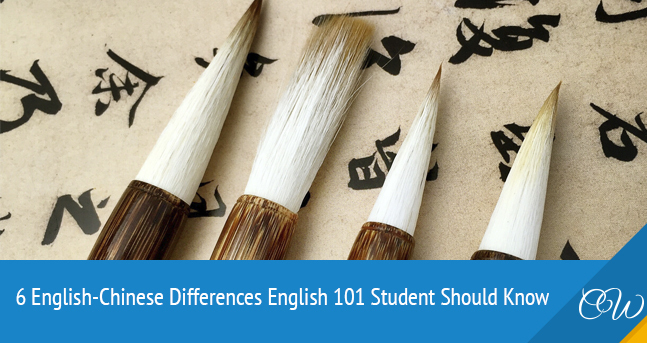 The written form of English is quite simple, while in Chinese it’s varied and that’s the cause of Chinese calligraphy. In English, there’s no variation of the written words, while in Chinese there’re simplified Chinese and traditional Chinese. And dating back to the ancient times in Chinese history, there were running hand, cursive hand, clerical script, etc. The English and Chinese languages are 2 polar means of communication. Though it’s hard to find contact points of them, it’s still possible and crucial to master these two languages. We wish you good luck and hope that our service will help you with that.